Excellantsubmitted by Zachary B. - Sep 25, 2015 |Recommended: YesThe property is well cared for, staff is very friendly. Many things to do in the complex with out having to spend money or leave home. GREAT, any problems are fixed right awaysubmitted by Anthony L. - Aug 30, 2015 |Recommended: YesEverything is kept clean and looking great. Any problems I have had have been taken care of that very same day. Best apartment complex in Springfieldsubmitted by Arden R. - Aug 25, 2015 |Recommended: YesThe secured entry is very good. The washer dryer in every unit are a must-have. The apartments are very comfortable. The staff is very friendly and helpful. I love living here.submitted by Geraldine G. - Aug 19, 2015 |Recommended: YesI feel safe. The management staff is wonderful. And, you can be as involved as you want in community activities. I can't imagine living anywhere else submitted by Karla S. - Apr 30, 2015 |Recommended: YesIt's quiet, comfortable living in a park like setting. Cost is quite reasonable when you consider all the many amenities that come with it. This is a wonderful place to livesubmitted by Mark C. - Apr 22, 2015 |Recommended: YesI really like the location. There are lots of amenities. The staff is very pleasant, responsive and helpful. It is very well maintained and managed. My neighbors are friendly, quiet and respectful. I really enjoy it here and invite you to check it out yourself. I love The Abbeysubmitted by Amanda J. 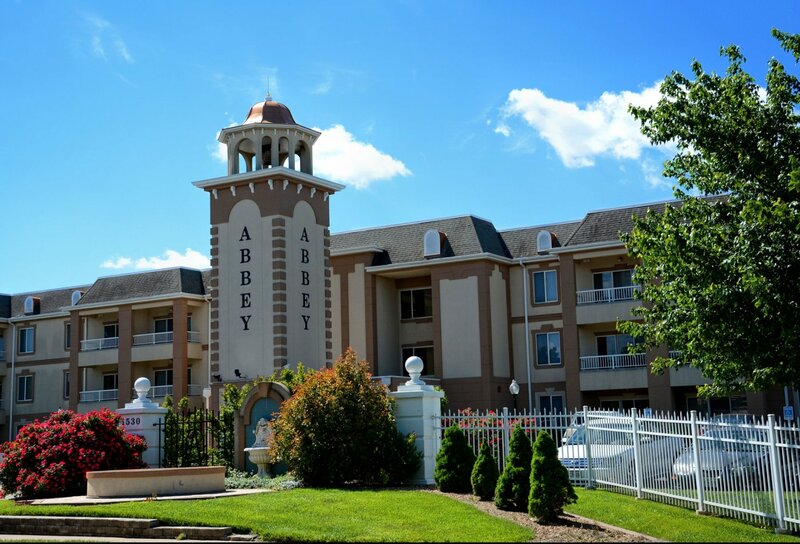 - Mar 30, 2015 |Recommended: YesMoving to The Abbey was one of the smartest moves I have made since moving to Springfield. The facility, staff, and neighbors are amazing. Quiet environment and safe one too. They keep everything running top notch. I love being here and will be staying as long as they will keep me. Quality Apartment Complexsubmitted by Jolene B. - Mar 06, 2015 |Recommended: YesI had heard many good reviews about the Abbey which is why I chose to move there. But I was more impressed once I lived there. For an apartment complex, it ranks at the top for quality living. I will say I lived on the 2nd floor and the 3rd floor and there was a big difference in the noise level. I rarely heard anything when on the 3rd floor but I had a large man that lived above me when I was on the 2nd level and he would make the light fixtures rattle when he walked. Other than that, I cannot say one negative thing about The Abbey. What is there to say it s WINTERsubmitted by Richard B. - Feb 25, 2015 |Recommended: YesI Like Living Here. Great place to call home!submitted by Jennifer W. - Feb 04, 2015 |Recommended: YesWe love living here. Such friendly and helpful staff, beautiful grounds with loads of amenities, and great neighbors!